Perth Glory chief executive Jason Brewer has quit his role in the wake of the club’s salary cap scandal. Perth have been banned from this year’s A-League finals after Football Federation Australia (FFA) found the club has breached salary cap rules. The Glory have appealed the FFA’s decision, with the disciplinary committee expected to release its findings late on Thursday. Brewer said he took full responsibility for the position the club has now found itself in and has resigned with immediate effect. “As CEO of the club, the ultimate responsibility rests with me and for this reason I must take full and total responsibility,” Brewer said in a club statement. “It is therefore, in the best interests of the club, I announce that from today I am resigning as CEO of Perth Glory…with immediate effect and before the outcome of the appeal process is reached. 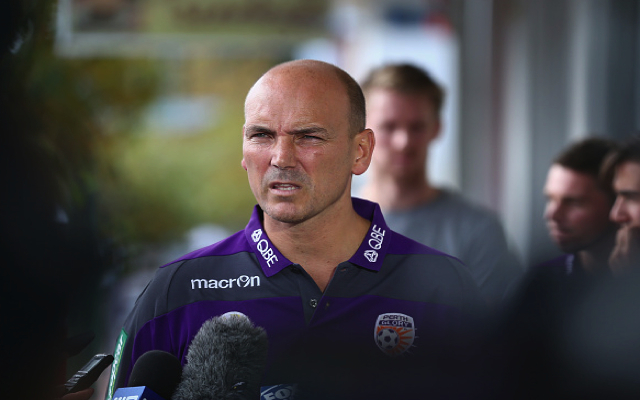 Despite handing in his resignation, Brewer maintains the Glory had not broken any A-League rules. “Like every A-League club, we manage it throughout the season and it must be made very clear that this club has made each and every payment through its own records,” Brewer said. The FFA last week released its initial findings in which the Glory are accused of breaking the salary cap by $400,000. On Wednesday, the FFA issued Perth a third show-cause notice in which the club is alleged to not have disclosed payments in excess of $100,000. If the Glory’s appeal is unsuccessful, its finishing position will be adjusted to seventh meaning the club will not play in this year’s finals series.